Lisa Berkian-Abrahamian has always lived with books; she has worked as a librarian, a newspaper editor, translator and author. Born in Armenia, she came to Germany in 1992 to live with her husband, Ara J. Berkian, and after his untimely death in 1994, remained here, carrying on his work and her own. 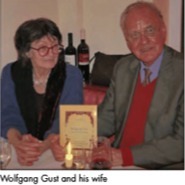 In September 2014 she published a book in Armenian on her husband, which is not only a complete appreciation of Berkian as doctor, engineer, architect and writer, but also contains important material and letters from his archives, pertaining to German-Armenian relations. When Armenian Prime Minister Nikol Pashinyan and his wife Annas Hakobyan paid an official visit to Germany last week, their first stop was not the capital city but Cologne. This may have come as a surprise to some, but there were good reasons for it. 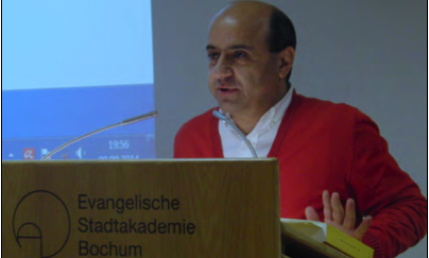 As Pashinyan explained to a gathering of members of the Armenian community on January 31, “Cologne is the capital of the Armenians of Germany, and it was not accidental that we started the official visit here.” The meeting took place at the Diocese of the Armenian Apostolic Church, which is the seat of the church in Germany. “The question of whether after such a complete elimination, after the almost total expulsion and forced expatriation of survivors in the successor state, the Republic of Turkey, an existence as an Armenian, subjectively and objectively, is at all possible, has been my concern as a human rights activist for decades.” This is how Tessa Hofmann, genocide researcher and chairwoman of the Arbeitsgruppe Anerkennung e.V (AGA: Working Group for Recognition; Against Genocide, for Understanding among Peoples), opened a commemorative event in Berlin on January 19, the 12th anniversary of the murder of Hrant Dink. While on tour in the South Caucasus last week, German Chancellor Angela Merkel was walking a tightrope, in an attempt to carefully balance geopolitical, economic and human rights concerns. Though some critical commentaries greeted her on return to Berlin, the overall evaluation of her trip was positive, and for good reason. German Chancellor Angela Merkel will visit Armenia at the end of August as part of a regional tour that will include Georgia and Azerbaijan. She is expected to arrive in Yerevan on August 24 (after press time) for a two-day working visit, during which she will meet with both Prime Minister Nikol Pashinyan and President Armen Sarkissian. Following her talks with the former, which should deal with bilateral relations, economic issues and the European Union, the two are scheduled to hold a joint press conference. The revolutionary developments in the Republic of Armenia have sparked enormous interest in Germany and a new air link between the two capitals promises to fuel that interest even more. Germania, an independent German airline, has proudly announced that its first direct flight from Berlin to Yerevan took place 16-17 June. 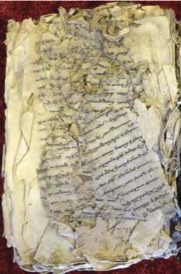 A revolutionary technology developed in Germany has made it possible to reconstruct an early version of Saint Gregory of Narek’s Book of Prayers (or Lamentations), conserved in the Matenadaran in Yerevan. The work is a manuscript dating back to the 13th-14th century, and is one of the earliest copies of the 10th century original, which has been lost. Arrmenians who gathered in Frankfurt’s historic Paulskirche this year for the traditional commemoration of the 1915 genocide were among the first to join in prayer with the new Primate of the Armenian Church in Germany, Archimandrite Serovpe Isakhanyan. He was elected as the successor to Archbishop Karekin Bekjian on April 15, and confirmed by Catholicos Karekin II on April 19. 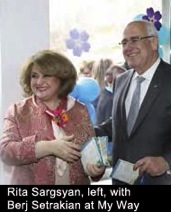 Another novelty was the presence of two representatives of the Armenian youth community. 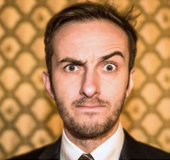 And a very special guest was Hrachuhi Bassenz, world famous opera singer. This year’s commemoration of the genocide was different in Germany. To be sure, there were speeches recalling the dark and tragic events of 1915, and there were demands for progress in implementing the measures contained in the genocide recognition resolution passed by the Bundestag (Parliament) in June 2016. There was magnificent music performed by talented young Armenians, and the ceremonies concluded with solemn prayers for the souls of the victims. It is well known that Germany has received the largest number of refugees in Europe over the last years. But few realize that in addition to those fleeing war and terrorism in Iraq and Syria, are increasing numbers of Turks, fleeing Erdogan’s regime. They are diplomats, military personnel, opposition figures and journalists seeking asylum. Can Dündar, formerly editor of Cumhuriyet, is a member of this new Turkish guest-worker community, here in exile. BERLIN — The evening was both solemn and festive, as diplomats, German political figures and members of the Armenian community gathered at the Armenian Embassy on March 23. 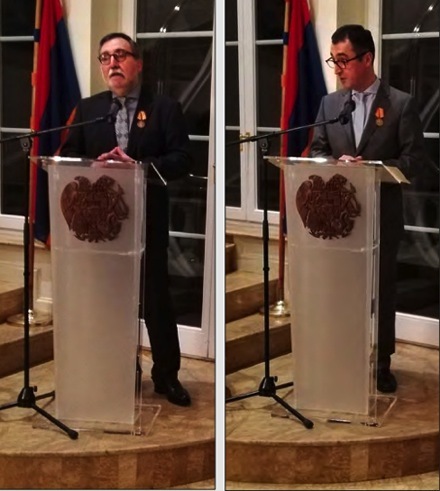 Ambassador Ashot Smbatyan presided over the ceremony, during which he presented the State Award of the Armenian Republic to two outstanding individuals. 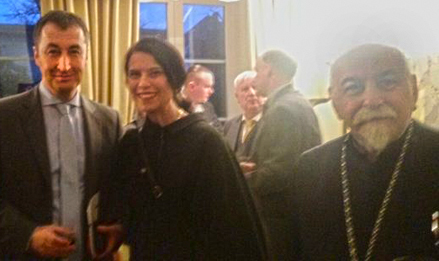 The order of merit, which is a high honor, was conferred on Cem Özdemir (Right), Green Party member of the Bundestag (Parliament), and Dr. Raffi Kantian (Left), Chairman of the Deutsch-Armenische Gesellschaft (German-Armenian Society). 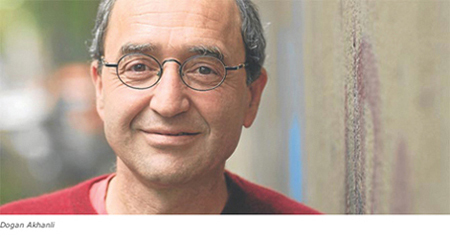 Özdemir was selected “for his extraordinary services in the international recognition of the Genocide against the Armenians,” and Kantian, for his “special services in deepening German-Armenian relations.” A full story will appear next week. It was a bitter cold day in mid-February, with a strong wind that chilled to the bone. As we walked from the bus stop and entered the Luisenkirchhof III cemetery through the huge gate, I thought about the women and children being deported from their homes in Ottoman Empire over a hundred years ago, and what immense suffering they must have faced as they wound their way through inclement weather, on their march toward death. January 1 is always a good time for pledging better behavior. It is a time for political leaders to reflect on the outgoing year and project plans for the immediate future. Turkey was no exception. In his New Year’s Eve address, President Recep Tayyip Erdogan said that after a hard year, he was looking forward to being a friend of Europe again. His country would like to minimize the number of its enemies and increase the number of its friends, he said. There were actually no problems, he continued, with European countries, like Germany or the Netherlands; indeed they were old friends. 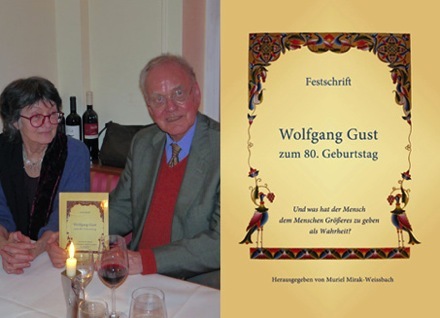 The German-Armenian Society (Deutsch-Armenische-Gesellschaft, DAG) has announced “with joy and satisfaction” that it has conferred an honorary membership on Wolfgang Gust. In accepting the honor, Gust wrote that he has appreciated the DAG’s efforts for many, many years. The news on October 26 that a Turkish court decided to release German human rights activist Peter Steudtner from prison, and even allow him to leave the country, was not expected and was greeted by sighs of relief. But it is by no means the end of the story. If France was the Guest of Honor this year at the celebrated Frankfurt Book Fair, then Turkey — that is, the official Turkey — might well earn the title of the Guest of Dishonor. Taking part in the innumerable interviews with authors, round table discussions and special exhibits were leading Turkish personalities from the book world, who presented their recent works and engaged capacity audiences in heated debates about the current, sad state of affairs for intellectuals in their country. These were the voices of the “other” Turkey. “Twenty-five years ago the Republic of Armenia and the Federal Republic of Germany established diplomatic relations — again,” said Rosa Eisen in her program notes. 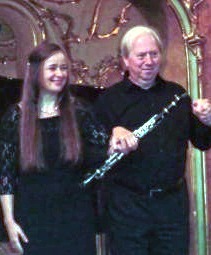 On Sunday, September 17, solo clarinetist Heiner Rekeszus performed in a farewell concert in Wiesbaden, before going into retirement. The 65-year-old musician was co-founder of the Chamber Music Association of the Hessen State Orchestra in Wiesbaden, which is celebrating its 25th anniversary this year. When Turkish authorities arrest German citizens they are not taking prisoners, but rather collecting hostages. Am 1. Juli 2017 um 19 Uhr findet die Gründung der deutsch-türkisch-armenischen Freundschaftsgesellschaft e.V. im Radialsystem V in Berlin statt. 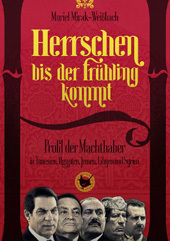 Das Projekt hat prominente Unterstützung von Dietmar Bartsch (Fraktionsvorsitzender der Linken im Bundestag), Wolfgang Gust (Historiker), Cem Özdemir (Bundesvorsitzender Die Grünen) und Varujan Vosganian (Autor), sowie von zahlreichen armenischen, deutschen und türkischen Künstler*innen und Wissenschaftler*innen. It was not the atmosphere we expected to find in a center for youngsters with autism: laughter rang out of one room where children were busily painting, while piano music sounded in another room, where two young lads were performing a duet. Playing from memory without scores, they were fully concentrated, absorbed in producing the strong rhythms. 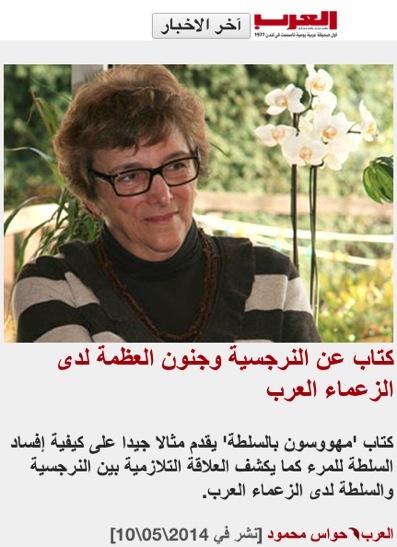 Al Arab review of "Madmen at the Helm"
The London-based Arabic newspaper Al Arab published this review of the book, "Madmen at the Helm: Pathology and Politics in the Arab Spring." Following Prime Minister Nikol Pashinyan’s recent state visit to Germany, the process of intensifying contacts between Yerevan and Berlin continues apace. On the invitation of German Federal President Frank-Walter Steinmeier, the President of the Armenian Parliament Ararat Mirzoyan began a five-day visit to Germany on March 17. In the capital he was received by the President of the Bundestag (Parliament) Wolfgang Schäuble, and was scheduled to meet with parliamentarians, including Petra Pau, Bundestag Vice-President, and Johannes Kars, head of the German-South Caucasus Friendship Group. 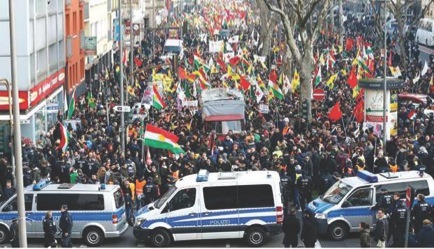 On January 19, Germans, Turks, Armenians, Kurds, Greeks and others gathered in several German cities to render homage to the memory of Hrant Dink, on the 12th anniversary of his death. In Frankfurt, a demonstration took place at a central location near the historic St. Catherine’s Church. Members of the Soykırım Karsıtları Dernegi (SKD), the Society against Genocide, organized the vigil which gathered a hundred people. Under the slogan, “Justice for 1.5 million victims of genocide, justice for Hrant Dink,“ the demonstrators carried photos of the murdered AGOS journalist as well as other activists currently jailed in Turkey. Candles and flowers lay on the ground among the photos and texts. Since June 2, 2016, the German Bundestag (Parliament) has been counted among those political institutions worldwide that have officially recognized the Armenian Genocide. The names of the parliamentarians associated with launching the initiative and organizing the political muscle to force it through are known. But if those individuals served as midwives, they were not the ones to conceive the idea. In the beginning was a small group of Turkish citizens living in Germany who came together in an association called Soykırım Karsıtları Dernegi (SKD), the Society against Genocide. At the beginning of December, they observed their 20th anniversary in Frankfurt and they had good reason to celebrate. Nona Gabrielyan is the proud representative of an Armenian family that has produced four generations of artists (so far). This is not only in Armenia; in Germany, where she has lived with her artist husband Van Soghomonyan for the last quarter of a century, she has also been midwife to a generation of German artists. On November 24, she presided over the vernissage of an exhibition of works by a group of her students. Held at the Haus der Heimat (Homeland House) in Wiesbaden, the show entitled “Exhibition 1 + 9” features the creations of 9 of her students together with some of her own. It is the third such show of works done by several of the 55 aspiring artists who have taken lessons from her over the past twenty years in her Wiesbaden atelier. Thus reads the text of an invitation issued for an event held recently in Bochum, a city in the Ruhr region. The timing could not have been more opportune; since last May, friends of Armenia abroad have been following the developments associated with the Velvet Revolution with keen interest. Where is the country going? What are the models — if any — that the new leadership looks to for inspiration? And for support? What will the response of friendly nations and trade partners be to the new course charted by Armenia? 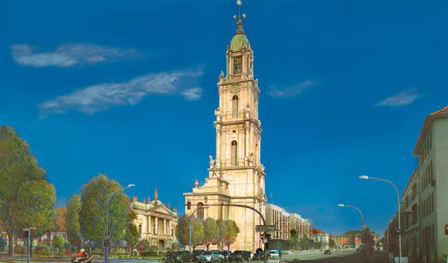 MILAN, Italy — On November 17, members of the Armenian community in Milan delighted in the music offered them by two young sopranos visiting from Yerevan. 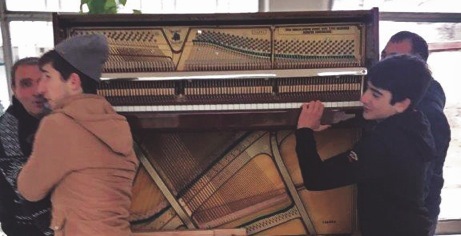 Lusine Arakelyan and Amalia Baloyan sang arias from Italian composers Verdi and Bellini, as well as works, by Komitas, B. Kachean, Dolukhanyan, A. Babajanyan. and others. 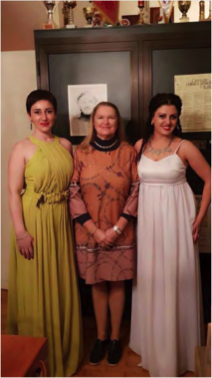 They were accompanied by pianist Marina Vardanyan. 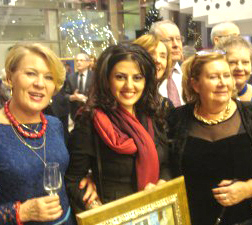 In the photo, from left to right: Amalia Baloyan, Marina Mavian, president of the Casa Armena, and Lusine Arakelyan. It is a unique institution in the country, the only center specializing in Armenian studies, Armenology. When the Mesrop Arbeitsstelle für Armenische Studien (Mesrop Center for Armenian Studies) at the Martin Luther University in Halle-Wittenberg observed its 20th anniversary on October 18-19, it celebrated the special role it has played in bringing knowledge of the Armenian language, literature, culture and history to not only academic circles but also the broader public. Much has been achieved, and the potential for development is even greater. Since the Bundestag (Parliament) passed a resolution in June 2016 recognizing the Armenian genocide, interest in Armenia has expanded immensely. 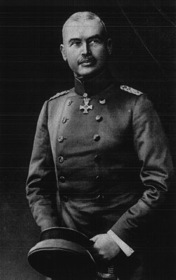 For many Germans that political act opened the door to discovery of a hitherto unknown people and their culture. Several new studies, especially of the history of the genocide, have appeared and been well received. But there is more to Armenia and Armenians than the genocide. When on August 27 of this year, a four-meter-high statue, bundled up like a mummy in white wrapping, was transported to the German Unity Plaza in Wiesbaden, Germany, as one of the exhibits making up the city-wide Wiesbaden Biennale for Contemporary Art, no one knew the identity of the being concealed inside the packaging. By all forecasts, the outcome of the parliamentary and presidential elections in Turkey will be close, so close, some say, that there could be a runoff for the presidency. If Recep Tayip Erdogan does not receive a clear majority in the first round on June 24, he could face a candidate backed by a coalition of opposition parties. Two weeks later, a runoff would be called on July 8 (from June 30 to July 4 for voters abroad). And in that case, the votes cast by Turkish citizens living outside the country, who make up an estimated 5 percent of the total electorate, could prove decisive. As the Turkish military offensive in Afrin has escalated, the caretaker government in Germany has come under growing pressure to intervene to stop the bloodshed. Since Germany has supplied Turkey with military equipment, its role has been subject to harsh criticism. Photographs of the Turkish actions aired on television confirmed suspicions that German tanks were indeed involved in the aggression against the YPG, the Syrian Kurdish militias, who have been battling IS. Foreign Minister Sigmar Gabriel declared that any decision regarding modernization of Turkey’s military — an item which had been discussed at the beginning of the year in bilateral meetings — would be put on ice, and deferred to the new government. 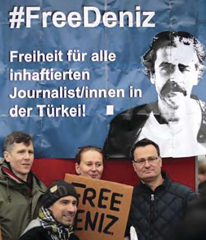 One by one, and at a painfully slow tempo, German journalists and intellectuals unlawfully imprisoned by the Turkish authorities are being released. On December 18, it was the turn of Mesale Tolu, a translator and journalist who had been held for seven months. 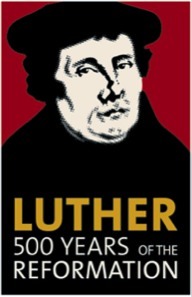 Among the hundreds of commemorative events organized to celebrate the 500th anniversary of the Reformation over the past year — “Luther year” in Germany — was a special gathering from October 18 to 21 in Berlin. On the invitation of the Evangelical Church in Germany (EKD), four of the highest representatives of the Eastern Orthodox churches met in the capital for a series of meetings and religious services dedicated to the situation of Christians in the Middle East today. This line is from a poem by the German poet and philologist Friedrich Rückert (1788-1866), whose greatest gift to future generations was his immense translation work. By the end of his life he knew 42 languages, and had dedicated many years to translating works of poetry and prose, especially from the Orient, into German. 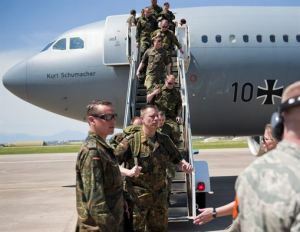 When Turkish government officials repeated to German Foreign Minister Sigmar Gabriel their refusal to allow German parliamentarians unconditional access to their troops at Incirlik base, it was the proverbial straw that broke that suffering camel’s back. Gabriel had travelled to Ankara on June 5 in a last-ditch effort to reach a compromise solution to the conflict that has strained relations, both bilateral and within NATO, to an unprecedented degree. After talks with both Foreign Minister Mevlùt Çavusoglu and President Recep Tayyip Erdogan, Gabriel made clear that Germany would have no choice but to withdraw its troops and relocate them. 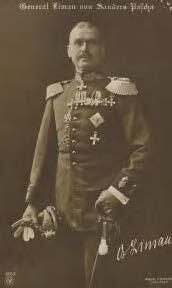 Since the German Bundestag (Parliament) passed a resolution on the Armenian Genocide last year in June, the focus has shifted from the demand for recognition to other concerns; on the one hand, there has been further study of the role of Imperial Germany in the Genocide and, on the other, there are efforts underway to introduce the theme in history lessons in German classrooms. This shift in focus was perceptible in the commemoration held in Berlin on April 24, where several speakers, remembering the past, looked to the future. The “Yes” vote in the Turkish referendum may turn out to be a Pyrrhic victory for President Recep Tayyip Erdogan. Not only was the reported margin in favor of the constitutional changes far slimmer than Erdogan’s AKP party and pre-election polls had expected, with only 51.4 percent of the vote, but the political fallout in Europe may be profound. The news that the Turkish intelligence agency MIT was not only spying on German citizens in their home country, but had requested help in this pursuit from the German intelligence service BND, signaled a new low-point in Berlin-Ankara relations. Relations had already been poisoned by wild accusations made by Turkish President Recep Tayyip Erdogan against the German government and Chancellor Angela Merkel that she was “Nazi-like” and “using Nazi methods.” The resulting controversy regarding whether or not to allow AKP politicians to campaign in Germany for a “yes” vote on the upcoming referendum ended in a decision, by Ankara, to cancel all such planned events. That seemed to lower the political temperature. The ostensible casus belli in the escalating conflict between Turkey and Europe, especially Germany, is the April 16 referendum on the introduction of a presidential system which would grant the Turkish president powers so vast as to eliminate checks and balances on the part of other institutions like the judiciary and parliament. The following story has been published by "100 Lives". Dieser Artikel ist von "100 Lives" veröffentlicht worden. Das Buch "Herrschen bis der Frühling kommt" wurde auf der Frankfurter Buchmesse 2014 vorgestellt und mehrere Buchbesprechungen wurden bereits veröffentlicht.